A few days (or was it weeks) ago I was making dinner and listening to NPR talk about Hillary Clinton's first trip over seas as Secretary of State for the United States. As I listened to Mrs. Clinton talk about her trip to Asia and her upcoming plans for creating peace in the Middle East I was struck with a profound thought! I realized that the last three Secretaries of State the US has had have been women (with the exception of Colin Powell's 4 year service). Madeline Albright, under the Clinton administration, was the first ever woman to hold the position of Secretary of State. Then came Colin Powell, who served under George W. Bush for his first term before resigning. He was replaced by Condeleeza Rice, the first black woman to hold that high of government office. And now we have another woman, Hillary Clinton, leading our diplomatic corps. Why you ask do I think this is significant? Well I think it is significant because the Secretary of State leads the State Department which is responsible for handling all US foreign relations. The main purposes of the State Department are protecting US interest abroad and preventing conflict and wars through diplomacy and friendship. Basically, the State Department is the closest thing the US has to a Department of Peace (which several other industrialized countries have), aiming to prevent conflicts through non-violent methods. In my opinion the Secretary of State has one of the most important jobs in the US government and one of the hardest. I think it is significant that three women have been chosen to be the US's ambassador of peace and friendship to the world. That in a time of war and unrest, we put our confidence in a woman to heal broken relationships, mend old wounds, and forge new friendships. The US might not be ready to have a woman president, but has great confidence in a woman's ability to create peace through non-violent means. I think that is significant. 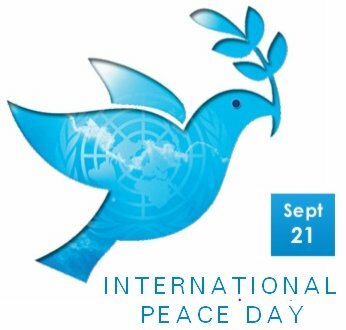 In my last two years of college I was an assistant to a professor who was studying women's involvement in peace and peace education for children. I did hours and hours of research on peace movements and programs around the world and it was amazing to me to see how many peace movements around the world are spearheaded by women-- especially mothers. Women from all parts of the world, those at war and those enjoying peace, have organized themselves to promote peace. There are many peace organizations led by men as well, but those tend to be big formal programs, whereas the women's programs were more small scale and grassroots. I think this is fascinating, because women almost always suffer the most from war and violence and have the most to loose. The artist is the only one who truly knows how much a masterpiece is worth, and if it is destroyed he is the one who grieves the most. A human life is a masterpiece and women are the artists, when life is destroyed women know the true cost. So, despite whoever she is or what political decisions she makes, I think it is wonderful that we have a woman as our Secretary of State-- our ambassador for peace and non-violence. Also, think about what a wonderful example it is to other nations, especially those that don't give women basic human rights, that in the most difficult matters of diplomacy, negations and peace the US puts its trust in the capabilities of a woman. I wonder if when Madeline Albright blazed this path for women, some foreign leaders had a hard time "condescending" to sit down and negotiate political affairs with a woman? I wonder how the fact that the Secretary of State is a woman changes the style and feel of political talks, or if doesn't make a difference? I wonder. "But the dove found no rest for the sole of her foot, and she returned unto him into the ark, for the waters were on the face of the whole earth: then he put forth his hand, and took her, and pulled her in unto him into the ark. I find that tidbit of information to be so beautiful, and such a testament to the power that women have of creating peace-- even in a world sometimes feels like it is beyond hope. How are the women in your sphere of influence creating a more peaceful world? I am excited to read your Abigail post. We have decided to name our baby girl, due in August, Abigail, and I came to this site to see if you had done a post on her yet.